It is a no brainer that when a particular drain blocks constantly even after continuous repairs, then there must be some severe faults somewhere inside the drain. And the best way to find out such faults in your drainage is with the use of a CCTV camera. A drain inspection with a CCTV enables the professionals to locate as well as identify the particular problem areas efficiently and quickly. It eliminates the requirement for the major repairs as well as unnecessary disruption along with saving money and time. Many times only a small inspection can save a lot of money and discomfort of a blocked drain. This is perhaps why CCTV drain camera inspection in Clematis is a complete savior. At first, a specific access point should be found out through which the camera can be pushed down the specialized pipe. In the case of larger pipes, professionals install the CCTV camera on an efficient wheeled crawler part. The plumbers can see the images through the mounted camera as it moves throughout the pipe on a specific monitor screen. Then they will see the structural defects or any blockages as well as their position in the pipe. A detailed report helps in identifying the underlying problems, as well as their position. When the proper reason of the drainage emergency is not visible immediately, a specialized CCTV camera helps to find out the specific problem. You will be able to find out the exact reason for the blockage. This would allow the service team to choose the best possible apparatus for the whole work and this would finish the job faster at lower cost. CCTV isn’t just helpful in finding out the cause of a current problem inside the drain, but it can also help you in avoiding unwanted upcoming problems. A specialized CCTV survey is able to detect issues before they create some more serious problems. A blocked or collapsed drain can be a severe cause of discomfort and various communicable diseases. 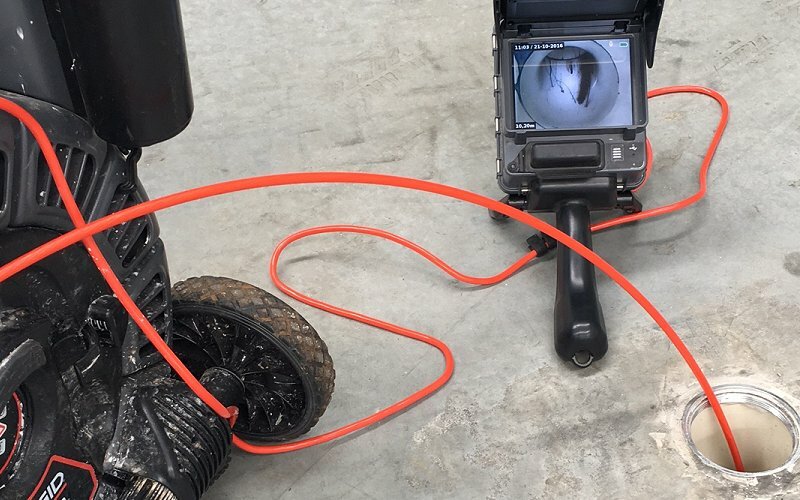 So, contact a professional CCTV camera drain inspection team today to clear your blocked and collapsed drain.